We’ve spent the entire summer married to our cool-girl uniform of vintage Levi’s shorts and a T-shirt. Sometimes we traded the tee for a silk cami, threw on a leather jacket on particularly chilly evenings, and rotated through a mighty band of low-top sneakers and black leather sandals. In short, we found our sartorial groove when it came to an edgy summertime look, but now what? How do we transition into fall? 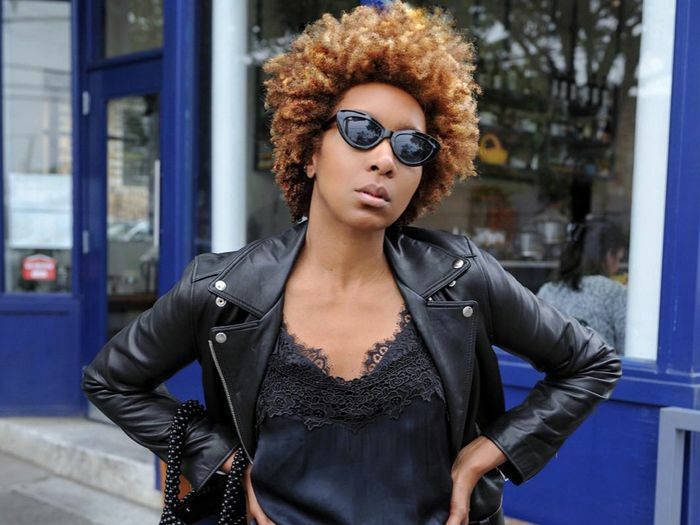 Lucky for us, some of our favorite street style stars are serving up some major outfit inspiration when it comes to edgy fall outfits for your cool-season wardrobe. We’re trading those shorts for long jeans, mixing in a ton of leather, and even playing with colors and prints (including—yes—florals) for some of the edgiest looks your wardrobe has seen in rotation. For all that and more, check out the below outfits we’re going to be wearing all fall. 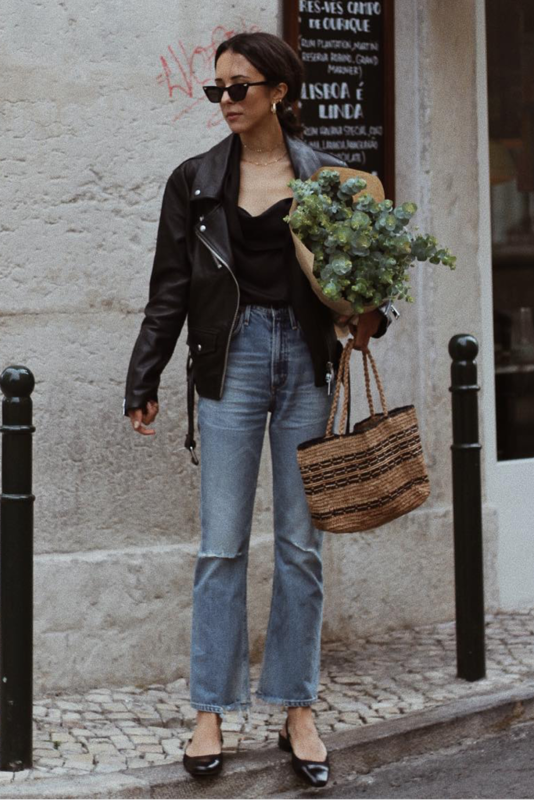 Seek slightly distressed jeans when shopping for the vintage greats, and pair them with a leather jacket for the ultimate cool-girl look. Layer like a pro, mixing textures and patters like leopard, leather, and denim. Go sassy and sweet with a sporty bomber jacket and more whimsical striped knit dress. Keep it classic with a white T-shirt, jeans, and a leather jacket. Be bold with leopard pants, but tone it all down with the addition of a tailored longline blazer. A slip dress and leather jacket will forever be or go-to combo. Who said florals can't be edgy? When based in black and styled with creepers, they certainly can be! Throw a vintage oversize sweatshirt with your leather miniskirt and finish off the look with a pair of ankle booties. Opt for a wrap dress that is dark in tone and trimmed in lace. Finish it off with heeled ankle booties, and you're good to go. Mix in sporty and casual pieces with your leather miniskirt, like low-top sneakers and a pullover sweatshirt. There's nothing like a pair of distressed denim with a leather jacket—nothing. Be bold by slipping into a minidress silhouette covered completely in animal print. Opt for those leather pants once the temperature begins to drop, and make it expertly extra with a pair of chunky statement heels. Try out your white jeans year-round. Especially when paired with a leather jacket and chunky heels, this look will take you nearly everywhere. Try turning the overalls trend on its head by opting for a leather dress instead. Get your edge on this fall. There's no better season for it.